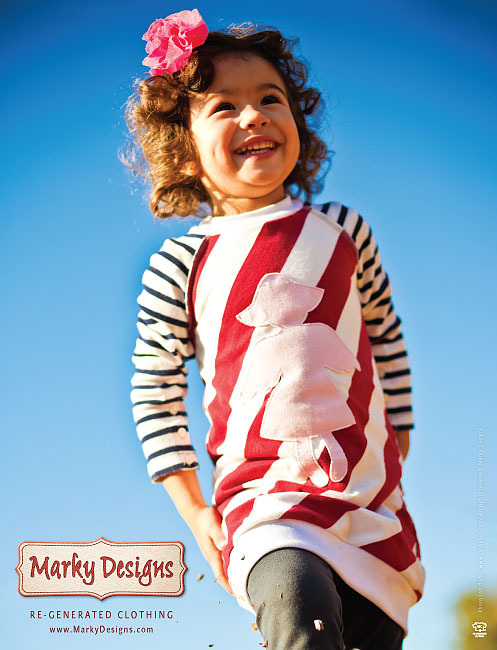 Welcome to Marky Designs web site! Marky’s Designs was borne out of one woman’s desire to brighten homes and lifestyles with fresh, affordable creations handmade from her home for yours. 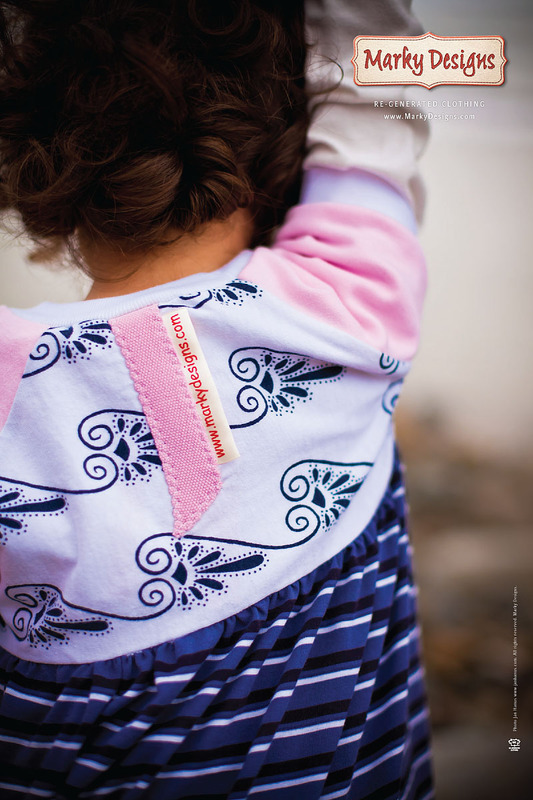 Every piece, from the Re-generated Children’s Clothing, is imagined and produced in Marketa Briceno’s home workshop in Santa Cruz, California. All product lines of Marky Designs are original and 100% independently handmade from material selection to the last stitch. It is the wish of Marky Designs that you can infuse your home and life with practical applications of vibrant color and whimsical fancy without breaking the bank. Read more about our specific product lines below! "Re-generated Clothing" is a term and icon exclusively used by Marky Designs. Marky Designs Bear Pillow Design is a Trade Mark. All rights reserved. 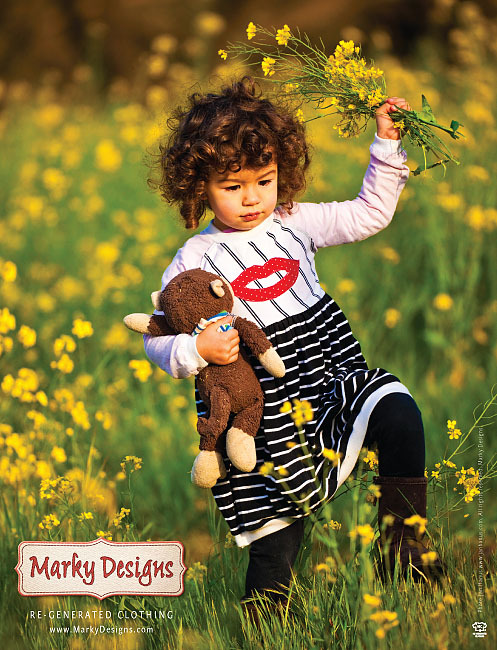 Marky Designs products are not for resale! 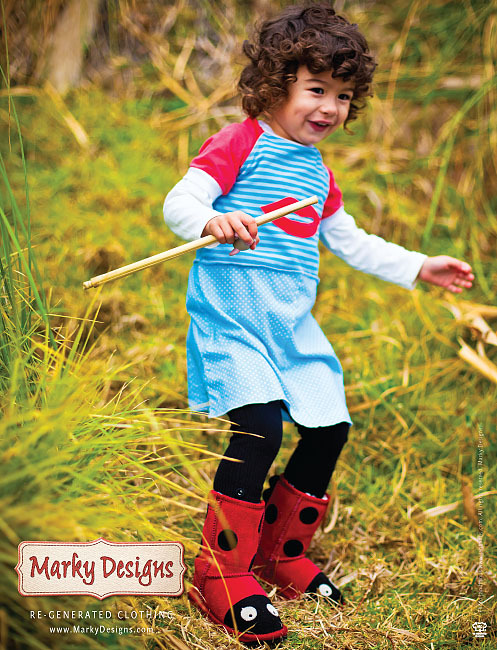 Marky Designs’ line of Re-generated children’s clothing is fresh, fun, easy to wash and even easier to wear. Moms and kids can throw on one of these colorful, comfy dresses over leggings, tights or just bare legs and go straight from school to the playground. 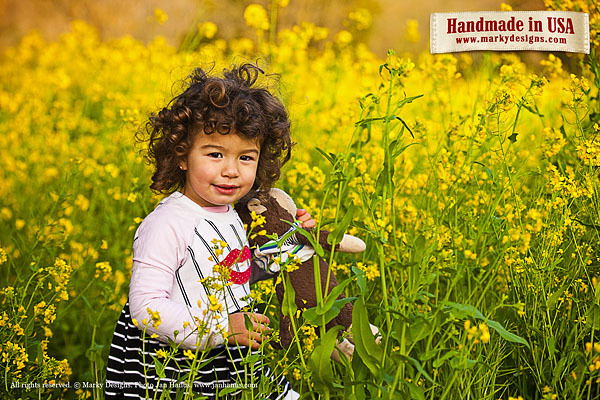 All pieces began their life as first generation T-shirts that Marky finds at local secondhand shops in the Bay Area and leave her sewing room as the next generation of hand-me-downs that kids will be begging to wear!